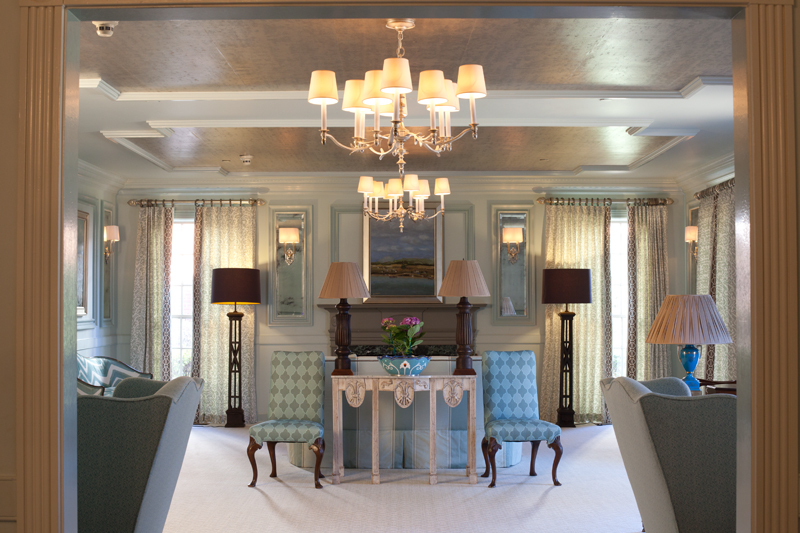 The Delta Upsilon Chapter of Kappa Kappa Gamma at the University of Georgia chose Lisa Ellis Design to update several common areas of their 1960's built sorority house. 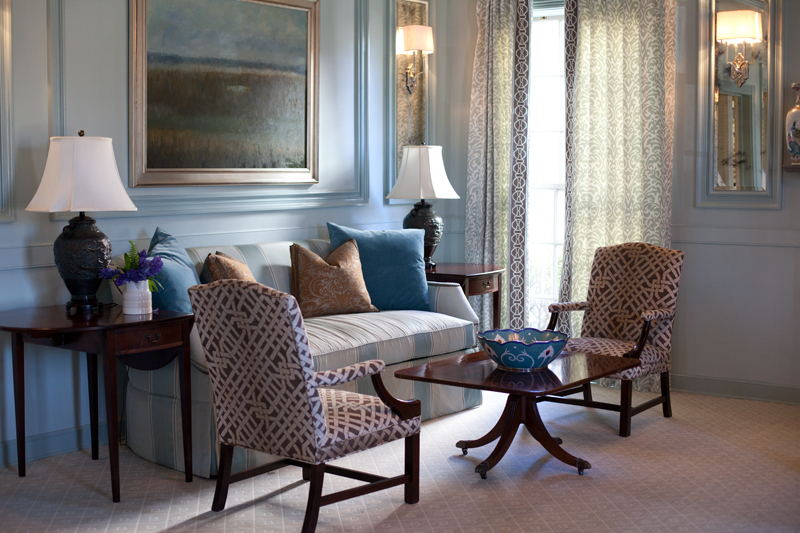 The architectural and interior design included the addition of millwork and antiques mirrors in the formal living room as well as the installation of millwork, silver leafed paper on the ceiling, and elegant sconces and chandeliers. 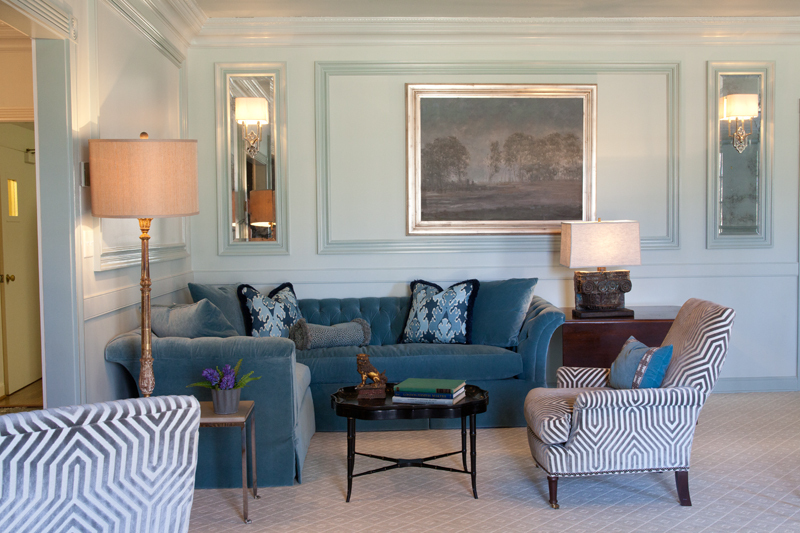 The foyer of the house was updated to include additional architectural moldings on the walls and ceilings and a Versailles-pattern inspired marble floor. 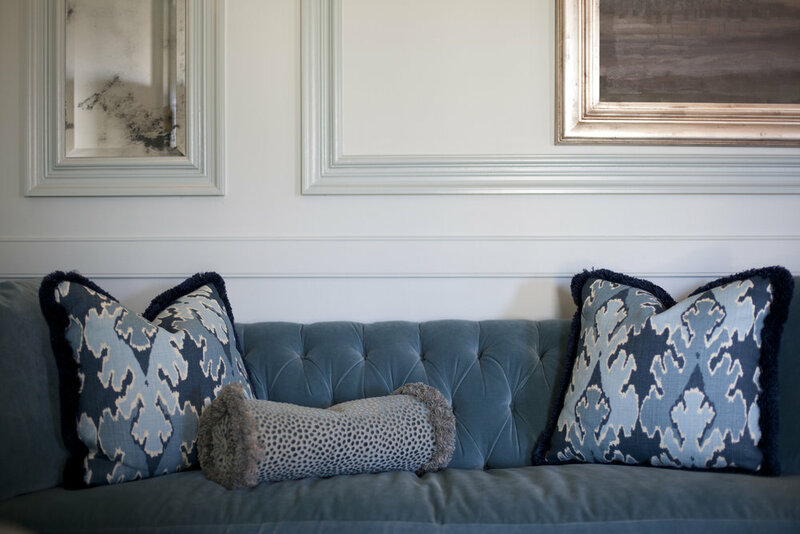 Lisa Ellis chose varying shades of blue for the walls and bold geometric fabrics mixed with more subtly patterned and solid fabrics for the rooms' new and repurposed upholstered pieces.